Peter Bowman is an international economist in the Market Access and Compliance unit of the International Trade Administration. The U.S.-Mexico trade relationship is a critical pillar of both nations’ economies. The two nations reached nearly half a billion dollars in two-way trade in goods and services in 2011, and more than 6 million jobs in the United States depend on trade with Mexico. In September the U.S. Department of Commerce and the North American Center for Transborder Studies (NACTS) at Arizona State University will host a high-level U.S.-Mexico conference on how to create jobs and enhance education in the United States and Mexico; discover industry opportunities in renewable energy, aerospace, tourism, and logistics; export your ideas, goods and services to the U.S. or Mexico, and attract investment and enhance local economic development. The “Realizing the Economic Strength of Our 21st Century Border” conference will gather thought leaders and innovators from throughout the border region to jointly design a roadmap to define strategies and execute regional initiatives to create jobs and enhance economic growth. Attendees will be invited to share best practices and identify future opportunities for bi-national collaboration. The international conference is set to take place September 23-25, 2012, at the Fiesta Resort Conference Center in Tempe, Arizona. The conference will focus on identifying regional solutions to border related challenges and priorities such as: workforce needs and educational development; trade facilitation and supply chain solutions for cross-border trade; border infrastructure needs and regional border planning; public/private partnership opportunities and new innovative technologies; and identifying cross-border economic development and job creation strategies. The U.S.-Mexico border region is one of the most important trade corridors for North American businesses, representing a $461 billion economic relationship between the two countries. 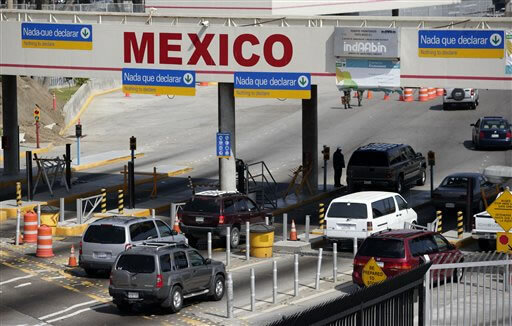 The border region represents 92 million people and is a critical staging point for U.S. commercial activity with Mexico where approximately 80 percent of U.S. exports pass through or originate in that region. It is, therefore, the key to unlocking the true potential of the U.S.-Mexico relationship.